TUESDAY, Jan. 23, 2018 (HealthDay News) — Survival rates are rising for people who have cardiac arrest while in the hospital, a new study finds. But if cardiac arrest happens at night or on a weekend, you’re more likely to die than if it happens on a weekday. The odds of surviving an “off-hours” cardiac arrest are nearly 4 percent lower than for people who have cardiac arrest in the daytime during the week, the study found. Cardiac arrest is not the same as a heart attack. A heart attack occurs when blood flow to the heart is blocked because of a circulation problem, according to the American Heart Association (AHA). Cardiac arrest, on the other hand, occurs when the heart malfunctions and unexpectedly stops beating — described by AHA as an “electrical” problem. The new study findings came from an analysis of data from 2000 through 2014 on more than 151,000 adults who had a cardiac arrest while hospitalized in the United States. In that time period, overall rates of survival at least until discharge from the hospital increased from 16 percent to 25 percent for those who had cardiac arrest on a weekday. Survival also improved for those with an off-hours cardiac arrest, from nearly 12 percent to 22 percent. However, that was 3.8 percent lower than patients whose cardiac arrest occurred during a weekday, the researchers noted. Each year, about 200,000 people experience cardiac arrest while in a U.S. hospital, according to the study authors. 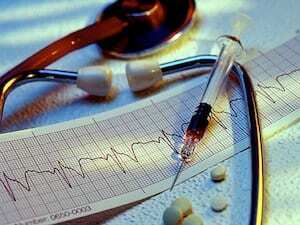 “Nearly 50 percent of in-hospital cardiac arrests take place during off-hours. By determining how survival has changed in recent years, we may be able to identify opportunities for quality improvement efforts,” the study’s lead author, Dr. Uchenna Ofoma, said in a news release from the American College of Cardiology. “If we can improve survival for cardiac arrests that occur during off-hours, it could impact a substantial number of patients,” said Ofoma. He is an attending physician with the division of critical care medicine at the Geisinger Health System in Danville, Penn. The study was published Jan. 22 in the Journal of the American College of Cardiology.